There is growing concern of renewed war between Israel and Hezbollah, the Lebanese militant Islamist group. Since the last major Israel-Hezbollah conflict in Lebanon in the summer of 2006, Hezbollah has steadily rearmed and its arsenal is now more potent in quality and quantity. Israel could assess that the threat to its national security has grown intolerable and strike Hezbollah to degrade its military capabilities. An Israel-Hezbollah conflict could also be precipitated by Hezbollah attacking Israel, either for internal political reasons or at the behest of Iran, with which it has close ties. This Center for Preventive Action Contingency Planning Memorandum by Daniel C. Kurtzer discusses the most plausible scenarios and associated warning signs of a "Third Lebanon War," its implications for the United States, and U.S. policy options to reduce the likelihood of renewed Israel-Hezbollah conflict and mitigate the consequences should it occur. Kurtzer recommends that the United States work to avert a third Lebanon war between Israel and Hezbollah by taking measures to reassure Israel, deter Hezbollah, and pressure Syria from providing Hezbollah access to destabilizing weapons. 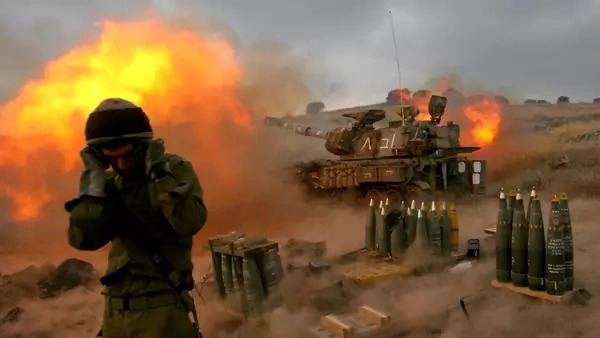 Concurrently, the United States should heighten its preparedness to respond quickly in the event of war between Israel and Hezbollah including, potentially, a wider diplomatic initiative for regional peace.